A hard drinking man, and a pious woman, navigate difficult African waters. Director, John Huston, delivered up a perfect piece of entertainment with this film. Huston received a nomination for best directing. 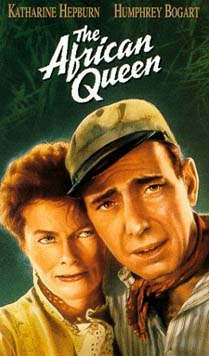 The noteworthy cast includes: Humphrey Bogart, Katharine Hepburn, Robert Morley, Theodore Bikel, and Peter Bull.